There’s no welfare state in Kenya, and no safety net to catch you if you fall ill. If you don’t have money then your kids don’t eat, let alone go to school. That’s what happened to Philister when she was sick. And so her children ended up on the streets of Kisumu. Scavenging for food or things to sell is a dirty and dangerous life for a child, but is sometimes the only way they can survive. I was all they had and it was my responsibility to look after them. I had failed, and my heart was torn apart. An outreach worker from our partner organisation Pandipieri found Philister’s 12 year old son Alphonce on the streets one day and took him home to see if she could help. Here’s where Philister’s story changes – all thanks to the support of people like you. Your donations helped Philister enrol in some training and gave her a small business loan that she used to set up her own market stall selling bhajis. 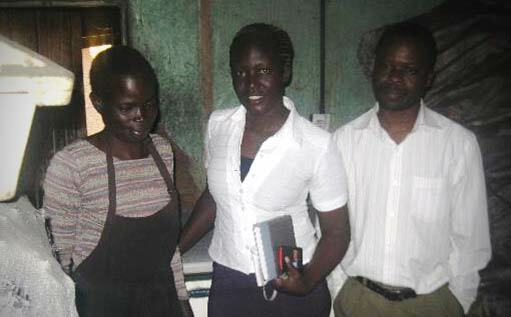 When that took off, she used her new found skills to identify another niche — and now sells charcoal too. We call it ‘Income Generating Activities’ – but you might call it ‘putting food on the table and being able to send your children to school’. That’s exactly what Philister did. I am my own boss now. The best thing about it is that I am the chief decision maker about what I do with my money. 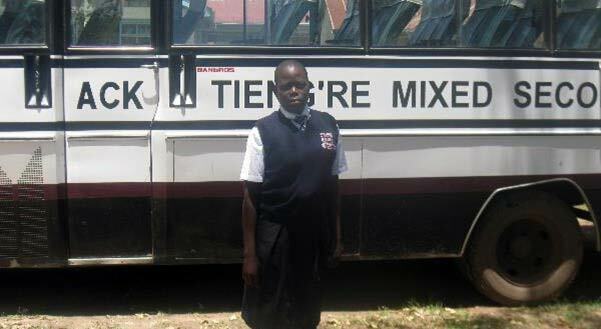 Philister’s daughter Maureen is now back in school. My only wish for them is that they are happy and successful. I want them to know that I am not taking them to school so they can help me, I am doing it so they can have a better future together with their families. Change a life. Make a donation now.